Is it Audeze Week? In addition to the previously mentioned Audeze B-stock offers at Adorama, we now have another Audeze offer, this one is new condition at Touch of Modern good until 4/24/18 at 12pm pacific. It is the iSine 10 planar-magnetic earphones (with a Lightning and Standard cables included) going for $299 with free shipping [SURPRISE ~ but it is a fairly small package, so free shipping is more affordable]. It comes with a 3-year warranty, with all sales final, and shipping in 2-3 weeks. Planar-magnetic earphones remain fairly rare, while the over-ear kind is propagating through the market. So, to the earphones front, the Audeze iSine 20 planar earphones with the standard 3.5mm cable (no Lightning Cipher cable) is available in B-Stock condition for $300 with free shipping and 3-year warranty at Adorama.com for a limited time only. 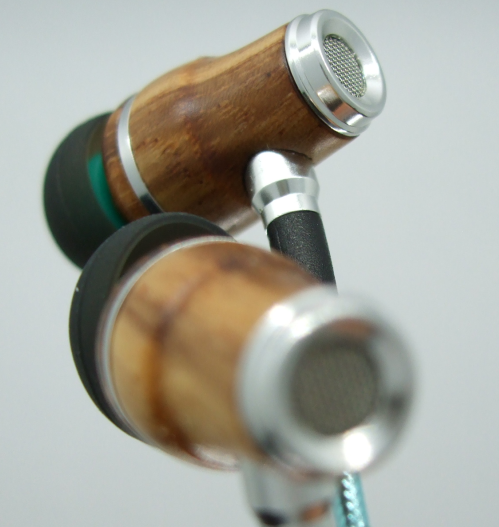 Flagship b-stock action now of the earphone kind! Adorama is offering the Audeze LCD-i4 Planar Earphones (both 3.5mm and lightning cables; EFPIGS version) for $1499 with free shipping. All these are limited time offers! If you are curious about these Symphonized wood in-ears but you don’t want to chase them in the lightning deals, we have an even better deal for you now! They are on sale and the sale price is lower than the lightning deals for this model, the NRG 2.0 Earphones with mic/remote going for $10.75 in eight different color schemes. Free 2-day shipping for Prime members or with a $25+ order. They average 4.1 out of 5 based on over 2900 customer reviews and they have nearly 200 answered questions. To the eBay deals we go, where Best Buy’s very own eBay store is offering the new condition Bose SoundTrue Ultra In-Ears for $60 with free shipping. This is the option with the iOS remote buttons in the charcoal color scheme. Up to three pairs per customer at the sale price. UPDATE 4/13/18: The Beyerdynamic Byron wired in-ears go for $29 with free shipping in Used condition at amazon.com. The new condition increased from $39 to $49… This is the only wired model of the three “Byrons”. The other two are bluetooths and cost more. It averages 4 out of 5 based on 55 customer reviews and has 14 answered questions. Tanga is offering the new condition Apple Earpods, model MD827LL/A, the one that came with the iPhone 6* phones, for $9.49 with free shipping and free returns. These are 3.5mm earphones, not lightning. The iPhone 6S* and SE were the last iPhones with a headphone jack. If you need two of them, 2-packs go for $18, a small combined purchase discount. On the budget side of things, running for the next five days and change from blog-posting time at Massdrop is the new condition Magaosi BK50 earphones going for $25 plus shipping. They are available in two color schemes and they have remote buttons that work with iOS and Android. They will ship from Massdrop in early May with all sales final. On the budget side of things, with free shipping (but not the faster 2nd-day air shipping because they are under $20) you can get the new condition JBL T280A earphones for $15 with free shipping in your choice of three color schemes from the official JBL store’s weekly sales where they average 3 out of 5 based on 42 customer reviews, so read up on them if not familiar – the score is a sign of issues and/or trade-offs (and/or user-confusion). If you need these for comparison or experimentation (they are doing horribly in reviews, 2.6 out of 5 based on 178 of them), the new condition SMS Audio SMS-EB-PNK Street earphones in the pink/silver/white color scheme are down to $10 by a marketplace seller with the orders fulfilled by Amazon (free shipping for Prime members). Again, these are mostly of interest for comparison and experimentation. If the quality control concerns with Hifiman products don’t scare you away, Electronics Expo has the open-box “Used – Like New” Hifiman RE-400i in-ears for $28.77 with free shipping directly from them through Amazon Warehouse Deals. All accessories included and they are an authorized dealer per the listing. Another development from today’s update of the Headphone Tracker, the new condition RHA CL1 ceramic in-ears are now down to $201~ with free shipping at Amazon by Amazon actual with up to three pairs per customer at the sale price. There are eight units available. On the budget side of things, the new condition NoiseHush NX80 earphones, wired with mic/remote are offered in the black and white color scheme for $7 each in the Woot Plus headphone page, with up to ten pairs per customer. Free shipping for Prime members or the usual $5 flat shipping for everything purchases in a single calendar day at Woot. They average 3.7 out of 5 based on 2050+ customer reviews at amazon.com where they go for $12 in this color ($11 in red/black) and have over 100 answered questions. The new condition Shure SE 846 in-ears in the CLEAR color scheme are currently on sale for a limited time for $699 with free shipping at Focus Camera. If you are trying to find the Denon Music Maniac AH-C250 In-Ears, they are currently available in “Used – Excellent” condition for $37 plus $4+ shipping and handling at Adorama.com. When they sell out, you will no longer see them in the aforelinked search results.